Pumps for oil and diesel filling and draining with electronic controls. The touchpad electronic sensor adjusts the speed of the motor according to the liquid viscosity and temperature. Compact design. Automatic shut-off for empty tank and short circuit. System will shut-off after 30 minutes of operation. 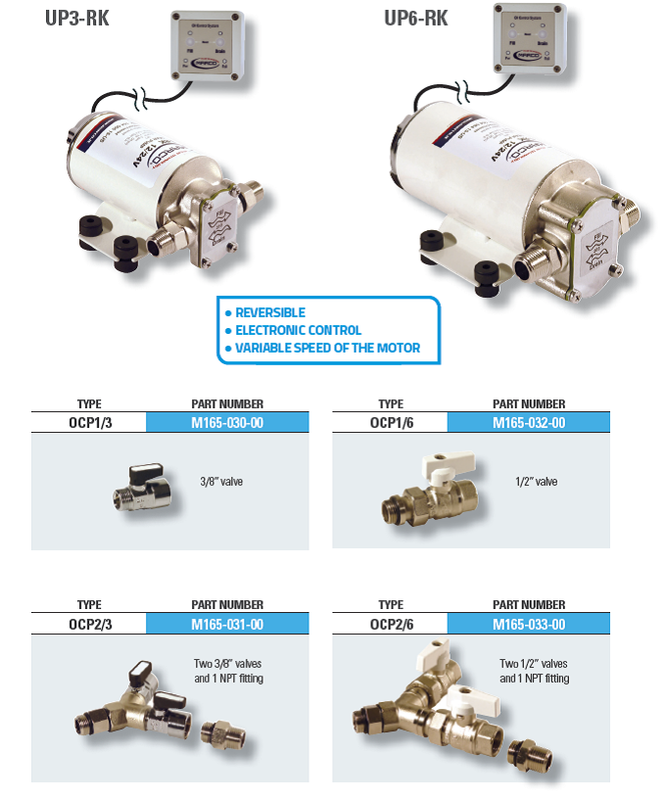 Fittings with 1 or 2 valves available.